New England Award for Professional Excellence (NEAPE). The NEAPE Award is presented to an individual who has demonstrated extraordinary service and contributions to the advancement of healthcare volunteer management. President’s Award for Outstanding Program Development. The President’s Award is presented to recognize an outstanding volunteer program that incorporates innovative administrators, effective collaborators and the ability to create “high impact” within the field of Volunteer Services. 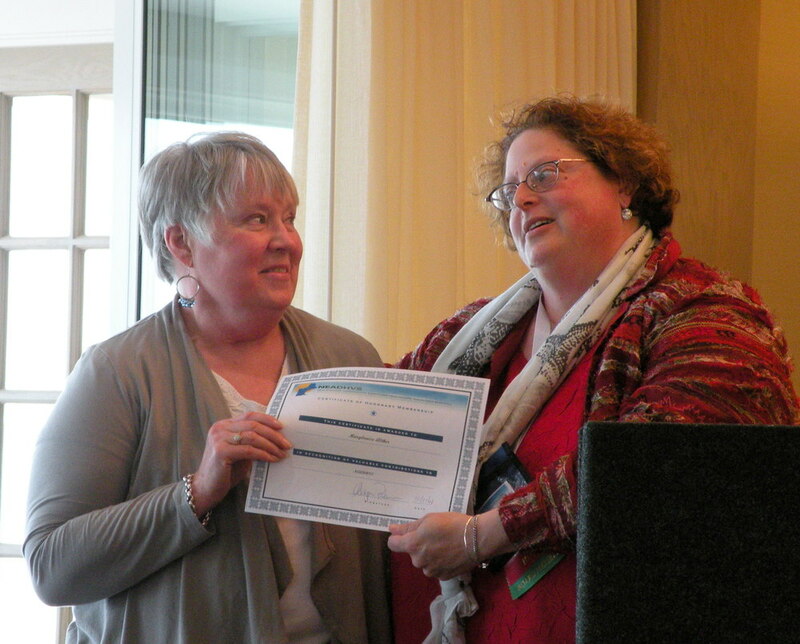 Both awards are presented at the NEADHVS Annual Spring Conference in May. Award nominees are nominated by YOU their peers! Please, find more information below about the NEAPE Award and the President’s Award for Outstanding Program Development. What is the criteria for the NEAPE award? A NEADHVS member in good standing for a minimum of two years. Sorry, if you’re a State President or the Professional Development Chair you’ll have to wait to be nominated until your term ends. How do I nominate someone for the NEAPE Award? What is the criteria for the Presidents award? The applicant must be a NEADHVS member in good standing. Each NEADHVS member can submit one application for a program that has been in operational for a period of at least six (6) months. Current State President’s and Professional Development Committee members are ineligible to apply for the NEADHVS President’s Award. How do I nominate my program for the President’s Award for Outstanding Program Development?